(…) Cleverly reintegrated into its core gameplay creates an imaginative new scenario that will feel both novel and familiar to the veteran arcade gamer. Fight a countless number of enemies, make your way in asteroid field to collect resources, fight huge bosses with unpredictable behavior. Upgrade your ship with many upgrades, power up with in game resources only. Have friends playing on Facebook? See who is playing at Kosmik Revenge, get advantages like higher value resources frequent challenges and much more. Full optimized for touch controls, also supports third-party game controllers like MOGA/MOGA PRO, Gametel, NVIDIA SHIELD game controllers. 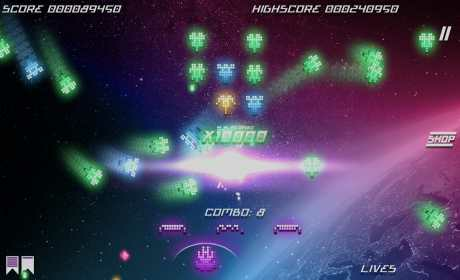 • Shoot hordes of hostile space ships out, play classic games and two different daily challenges. • Full HD high-dpi graphics with high end effects like motion blur, image post processing, accelerometer 3D parallax, screen shaking and more. 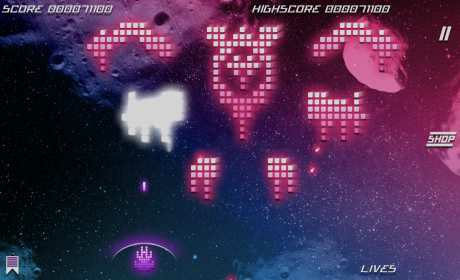 • Destroy asteroids and collect resources for upgrading your ship and power-ups including bullet time mode, multi-ways shot, and much more. 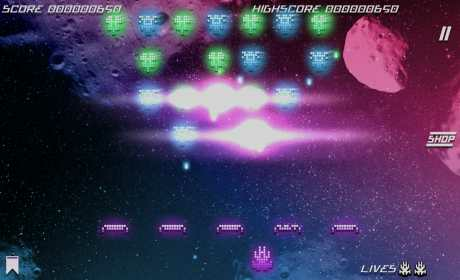 • 8 waves of 5 stages, with increasing difficulty. • Online social features with Facebook : Reach the top scores, overtake you friends and watch their progression.